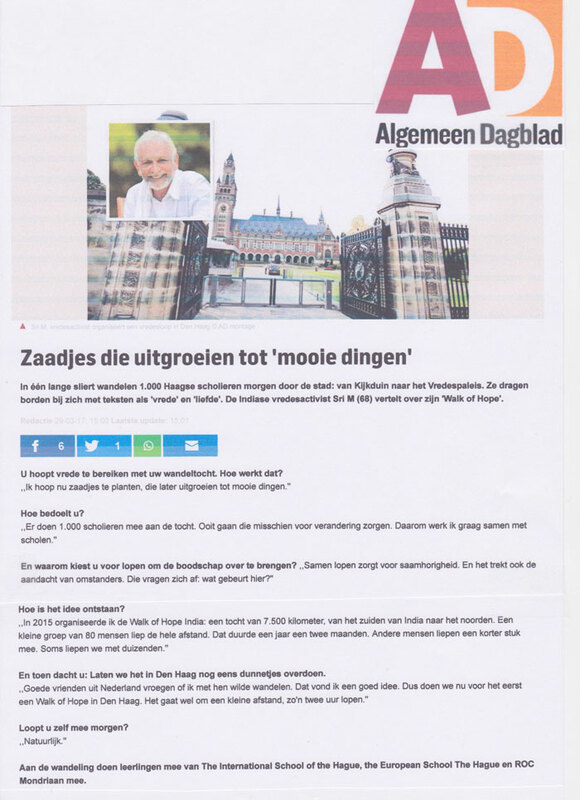 From the Netherlands National Newspaper-The Hague edition “A.D: Algemeen Dagblad”. In one long string 1,000 students from The Hague walk through the city tomorrow: from Kijkduin to the Peace Palace. They carry signboards with words like “peace” and “love”. 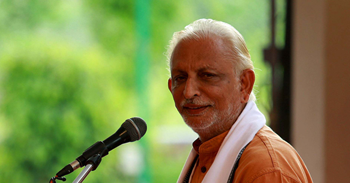 The Indian peace activist Sri M (68) tells about his “Walk of Hope”. You hope to bring peace with your walk. How is that working? “I hope to seed plants that will later bloom into beautiful things”. “1,000 students are participating in this journey. There comes a time they will perhaps go out there and make a difference. That’s why I love to work together with schools”. And why you’re choosing to walk to bring this message? How the idea has started? 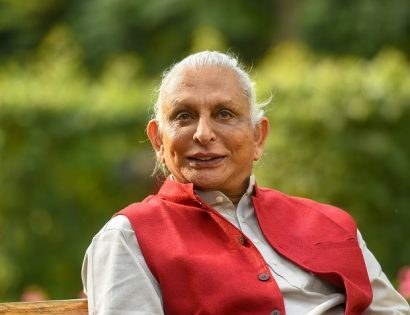 “In 2015, I organised the Walk of Hope in India: an itinery of 7,500 kilometer, from the South of India to the North. A little group of 80 people walked the whole distance. That took a year and two months. Other people walked for a shorter track. Sometimes we walked with thousands of people”. “Nice friends from the Netherlands asked me if I would like to walk with them. That was a good idea in my opinion. So now w’re doing a Walk of Hope in the Hague for the first time. It wil be a short distance, about two hours walk. You’re participating in the walk tomorrow? 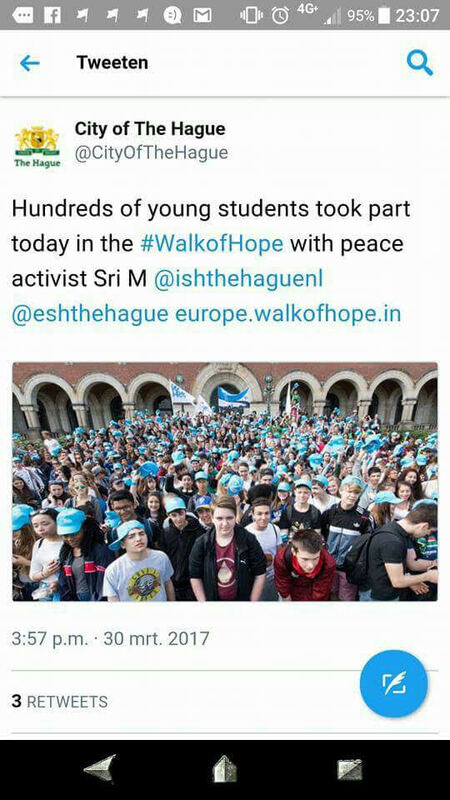 Students of The International School of The Hague, the European School The Hague and ROC Mondriaan will participate in the walk.